In the 10-week long Illinois Computer Science Research Experience for Undergraduates (REU), students work with Illinois faculty mentors and graduate students over the summer to get an introduction to computer science research. This is an outstanding opportunity for aspiring scientists and faculty to learn from leading experts in computer science. The Illinois CS REU program includes an end-of-summer research symposium for participants to show off their work, as well as weekly seminars covering research skills, presentation skills, information about graduate school, and how to apply for graduate studies. 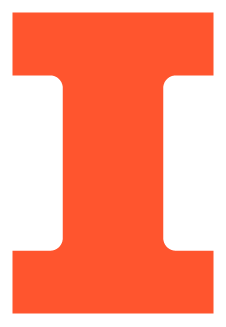 The University of Illinois is one of the nation’s leading public land-grant universities, home to a top-5 CS graduate program with a rich history in computing and the nation’s premier academic supercomputer, Blue Waters. On-campus housing for Illinois Computer Science REU participants is available through University Housing. Rates (including tax) are $32.60 per person per day for a shared room or $49.82 per day for a single room starting on June 2nd. Note that, despite what this form says, housing for REU students is not available until June 2nd. When the form asks what conference you are attending, please enter "Computer Science Summer Research"
Other housing options: University Housing (for University of Illinois Students), Short Stay Housing Options (for Visitors), Off-Campus Housing Explorer. Parking is not included and must be arranged separately with the Illinois Parking Department.